is the founder and Chairman of Venture Bank . She is a co-founder of Tanner Unman & CO; a boutique investment bank based in New York City. Venture Bank LLC. was founded in 1996 to focus capital raising and strategic alliances for private companies . Cheray Unman has funded over 120 million of capital for private and public companies in the media, luxury,biotech, commerce, mobile, advertising and infrastructure sectors. 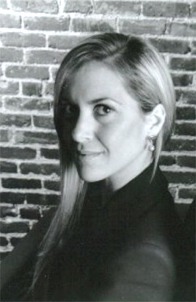 Cheray Unman was a cofounder of Big Sky VC with Michael Schwab focused on emerging growth startups. Cheray is a graduate of UB Berkeley and Sotheby's Institute in London. She is passionate about art, wine, classic architecture, polo, couture and equestrian charities. CHERAY is a brand for the luxury sector.